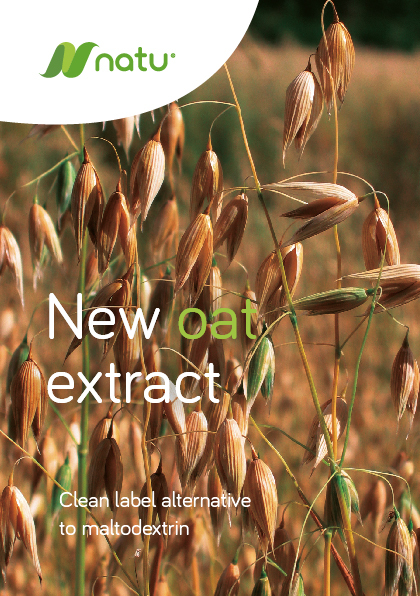 Meurens Natural presents Natudry-Oat 19, a clean label alternative to maltodextrin. It is a tasty oat powder providing texture, viscosity, structure, crispness and prevents crystallisation. Its attractive DP1 + DP2 level (below 10%) enables to limit the sugar content in your preparations , meeting consumer’s needs for healthier foods. The natural production process and the use of flour as a raw material guarantee a clean labelling: “oat extract" or “dehydrated oat syrup” or "oat powder" instead of "maltodextrin". The Natu® range includes other extracts of : rice, oat, dates, figs and also datepuree. Meurens Natural is expert in natural solutions from cereals & the designer of Sipal® (organic) and Natu® (natural) ranges. Keen to know more ? Contact us.